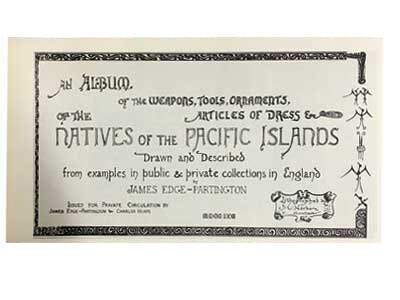 Partington's Album of the Weapons, Tools..
"To the collector of Savage Art and ethnographic objects Edge-Partington and Heape’s book “The Album of the Pacific” has always been of greatest importance. 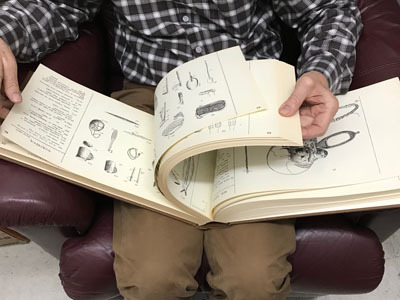 Published in a limited edition in 1860, it has always been a rare book and difficult to obtain. 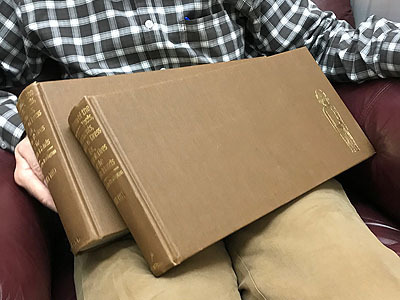 This much is shown by the fact that only one copy has appeared in the salesrooms during the last decade, sold for 400 pounds in 1968. 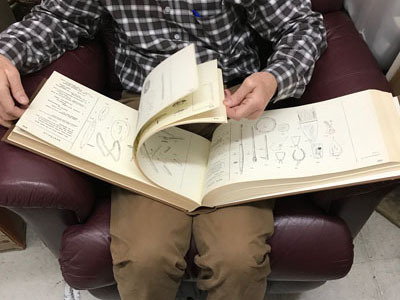 Therefore its reprint will be of especial value to the enormously increased number of museums and private collectors to whom up until now this book has been virtually unobtainable. 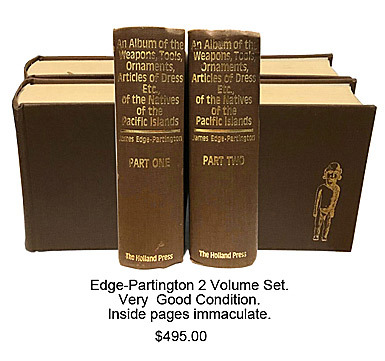 Edge-Partington and Heape’s great work lay in cataloguing the wealth of Pacific material then extant in museums, societies and private collections, some of which has since been dispersed, or even lost. In the exactitude of the line drawings and measurements, and Edge-Partington’s accurate classification of the localities of the objects, these two clearly foresaw what has become one of the major problems of modern ethnography: namely that where the societies under study were not dying, they were changing so rapidly that the material for such study would soon become unobtainable. 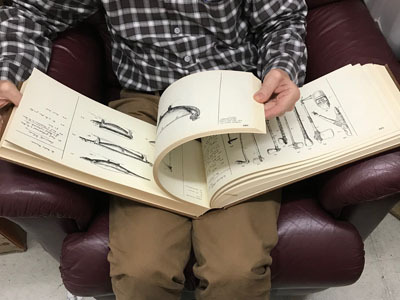 So not only were they pioneers in ethnological research itself, collectors, and, in the case of Partington, experienced observers in the field, they were also men of sufficient foresight to leave behind them this unique and invaluable record of their researches. This work is of a rare scholarship and, in the originality of its format, a tour de force of book production of its time.